London from the Roof of Albion Mills. Etching and aquatint. 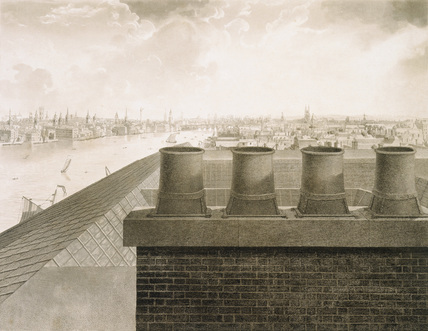 Panoramic view of Southwark and London Bridge seen from the roof of the Albion Sugar Mills at south end of Blackfriars Bridge.